If you’re looking at the interior or exterior surfaces in your home and you’re thinking “I wish I could improve the look of that surface or floor” then we can help. And the results can be stunning. Click here to see just a few of the available finishes. 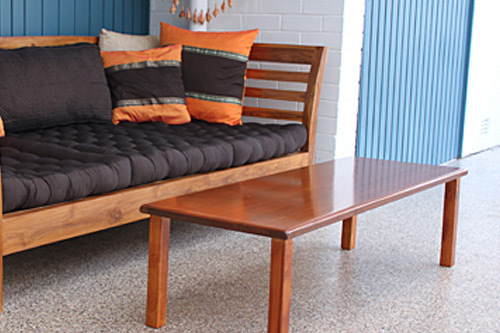 Six Reasons to Consider Concrete Surfacing and Polishing for Your Home. Superb results – even more beautiful and durable than marble and similar materials. Easy to maintain with ‘set and forget’ ease and cleaning. Excellent value because it’s long-lasting and extremely durable. Environmentally-friendly using the latest materials and techniques – no obnoxious smells. Speed. We can complete most projects in a day. 10 year guarantee. If you’re not completely satisfied with the work, we return at our expense. We have numerous satisfied customers in the Sydney area and we’re happy to share testimonials and references. We have highly experienced technicians we fully train to perform work to the highest standards. We also provide personal service and minimise disruption by working on your schedule. Free consultation. Call us right now at 0447 774 004 or contact us here and we’ll visit your home for a free consultation.